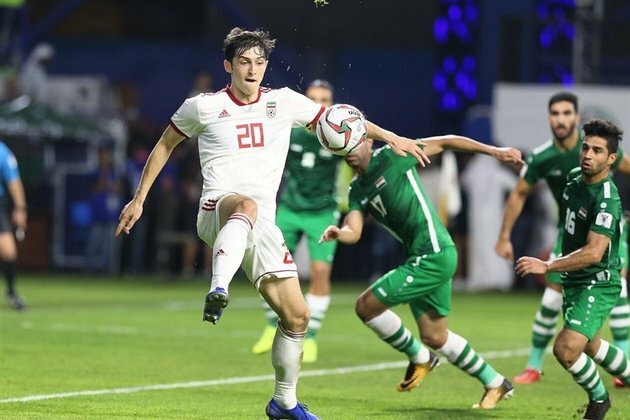 TEHRAN (Tasnim) Iran striker Sardar Azmoun is among the top five star who showed excellent display in group stage of the 2019 AFC Asian Cup. - Sports news - Azmoun is Team Melli's best goalscorer so far with three goals against Yemen and Vietnam. Saad Al Sheeb and Almoez Ali both from Qatar, Iraqi Mohanad Ali and Eldor Shomurodov from Uzbekistan are four other top players in the group stage. Azmoun can play a key role in Team Melli when the Persians will meet Oman in the competition's Round of 16 on Sunday. He was considered one of the players to watch out for in this tournament. Iran has been hugely impressive thus far, and Azmoun's form is a major plus as they look to win the Asian Cup on this occasion.